Making pastry is one of my things! So the other day I made up some shortcrust pastry for a couple of tarts, one sweet, one savoury and there was some left over. 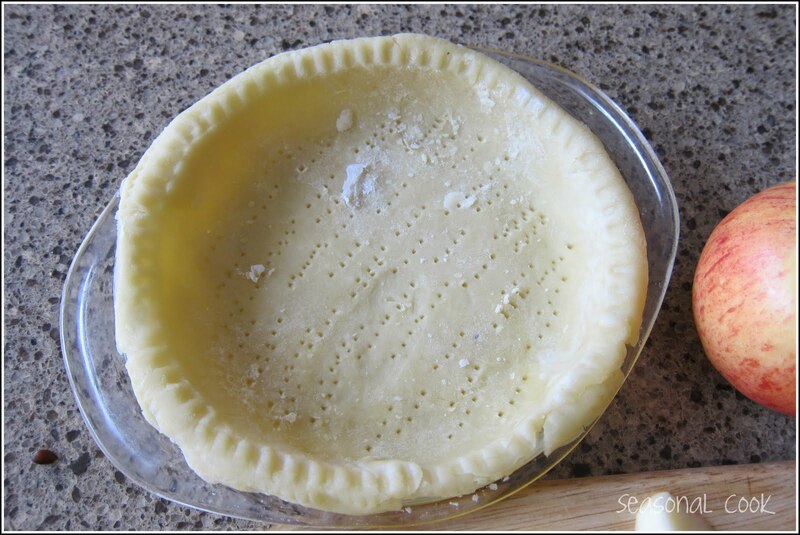 It freezes brilliantly so I used it to line 2 small pyrex lids and pricked the bottoms with the fork. I then wrapped them securely in clingfilm and put them in the freezer for a rainy day. I cut out a few shapes with the tiny remaining piece of the pastry and wrapped that as well. So what could be simpler than making up a quick little apple tart for supper a few nights later? Take out one of the pastry shells so that it reaches room temperature. Preheat the oven to 350°F/180°C. Simply take one or two apples, tart if you can get them but here in Istanbul, cooking apples seem to have disappeared off the agenda, and peel them. Actually sometimes leaving the skin on is nice as I like the colour contrast. But this time I didn’t. 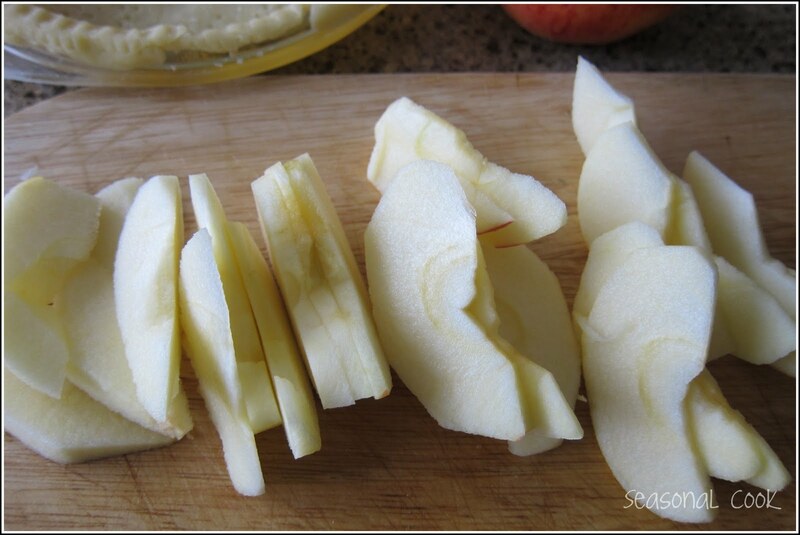 Put in your preheated oven on the middle shelf and cook till the crust turns an attractive light brown and the apples are done. before and after! click on the pictures to enlarge. Serve with cream or icecream while still warm! Mary from the wonderful blog One Perfect Bite has invited me and two other bloggers on an ‘adventure’ with her starting tomorrow! We are each going to cook a dish from one of the Fifty Women Game-Changers list, starting from the top, and post about it every Friday. This list is from the Gourmet Live May issue and is indeed more American in outlook. It ranges from such luminaries as Elizabeth David and Delia to others that I have never heard of – but look forward to finding out about! Tomorrow is Julia Child! We may not all manage it every week but we’ll try! We’ll post the links on our blogs so that you can follow along. Beautiful tart! I love the addition of the pastry hearts! Congrats on working with Mary – I just love her! I'm really looking forward to seeing what each of you makes! What a delicious tart!I just love it!!! Hi Susan! Yes, I think the whole idea is just great and I am really looking forward to finding out all about these other legendary cooks! And yes, isn't Mary's blog amazing? Lenia! Hi! Thanks for your lovely comment! 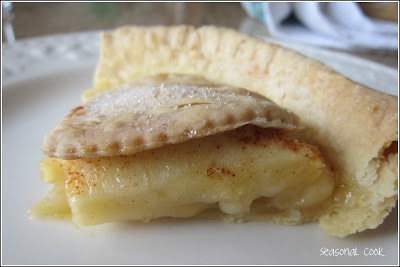 Oh, I love these mini apple tartes, and also the fact that it freezes good!